As many of you know, the 9th ICT in Education conference will take place in Thurles on Saturday May 11th this year. As in previous years, the conference will be preceded by a CESI Meet on the previous night, Friday 10th May. This conference is for educators across all levels to meet and share. The theme for this year’s conference is “Student Voices” and the keynote speakers will be Grainne Conole and Catherine Cronin. 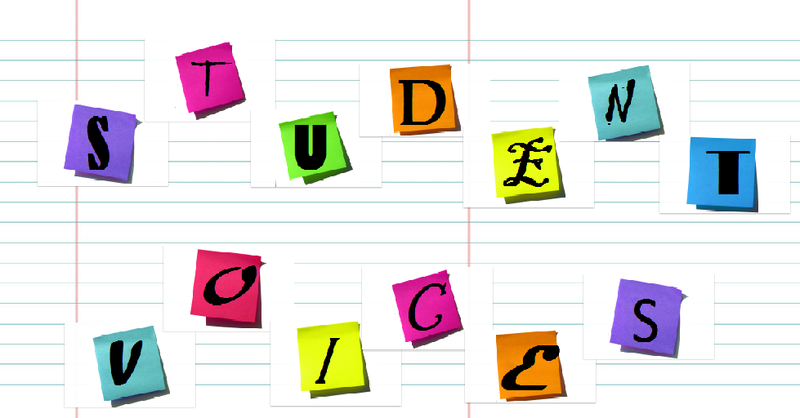 We’re very excited about the theme for this year’s conference, as too often, the student voice is lost in the melee, as the many stakeholders in our education system clamour to have their voices heard. Having said that, it’s heartening to see teachers sharing what works in their classrooms, on social media and elsewhere, as they strive to provide their students with a platform from which their voice can be heard. These are just some of the examples I’ve seen but there are so many more. If you’re a teacher who is willing to share what you’re doing in your classroom please consider submitting a proposal to present at the conference. 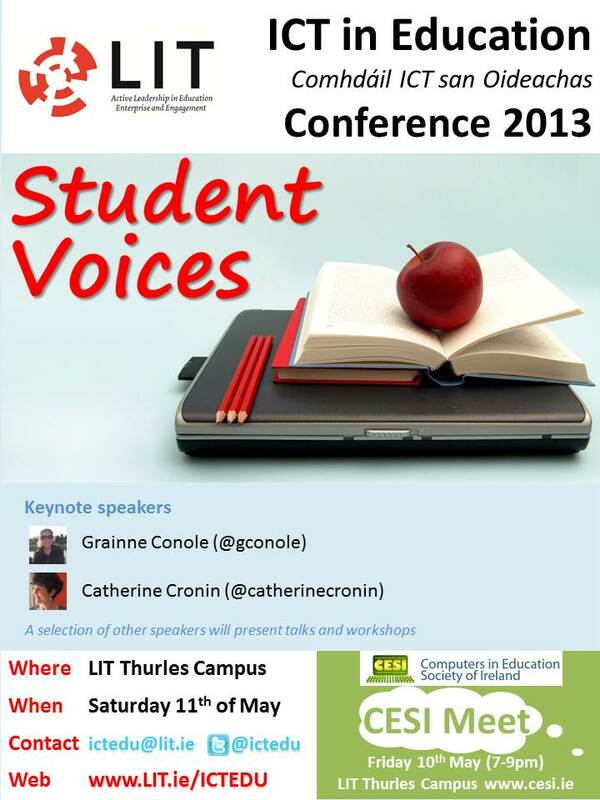 More details on the conference and the call for proposals can be found at www.lit.ie/ictedu. 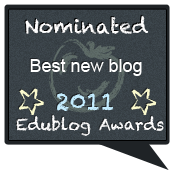 This entry was posted in Conferences, School Connections and tagged CESI, connections, ictedu. Bookmark the permalink.